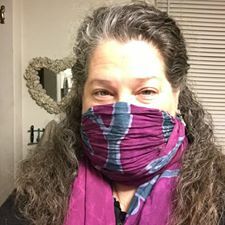 This entry was posted in Air Quality, Chemicals, Environmental Health, Environmental Sensitivities, Multiple Chemical Sensitivities, Pollution, Precaution and tagged Fragrance, hazardous air pollutants, masks, MCS, MCS/ES, Mold, multiple chemical sensitivity, petrochemicals. Bookmark the permalink. I used a scarf a lot in the early days. I still sometimes do when I go outside here. Some people sew a piece of carbon cloth into their scarf to make it a bit more effective at filtering things. Or use 2-3 scarves together. You can also sew in a metal clip (from another mask, or use the bendy thing from a bag of coffee or cookies) to the top to get a better fit around the top of your nose. 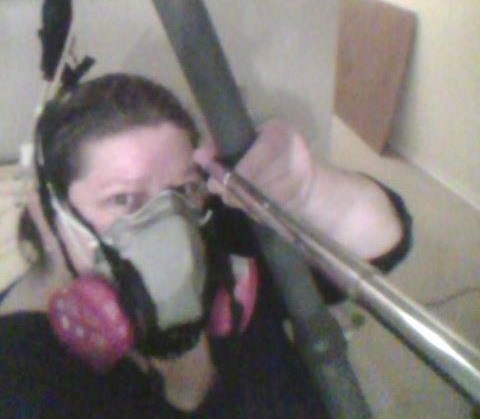 Some people even wear a scarf over their respirator. The year 1/2 saga of requesting my city severcies be fragfree is ongoing and in grievance. The ADA coordinator has never handled a grievance, and told me she had to talk to the city lawyer. The coordinator has emailed me that she is going back to talk to police and fire, which gives me hope. If your city does not have fragfree policy now is the time to ask them for reasonable accommodation for this disability that is covered by the ADA. Harmful chemicals in personal products has never been in the news this much before. A simple letter takes only few minutes, nothing fancy needed, but it must be in writing. Ask if your city has a coordinator and send it to them, keep a copy of it. Send a copy of the CDCs indoor air quality policy which includes fragfree. I’ve been wanting to do this because I would like to use our Senior Center and take a yoga class there. What other services do you access via your City? I should have checked the box to get an email when there’s a reply to my comment. I started with 911 responders, police and fire because they could not come in my home to help me when i was very ill. Then i asked for all city employees and buildings be covered by the CDC indoor air policy.